Telecom operators are involved in a cutthroat competition to weed out each other out of the game and get the most people to sign up for their services. The current scenario of the Indian telecom is nothing short of what we described. Especially, when the telcos are rolling out cashback offer one by one and trying to salvage the most of the subscriber base by luring them with attractive offers on 4G smartphones. Reliance Jio started the trend, and recently it took the offer to a new level by offering Rs 2,200 instant cashback on the popular 4G smartphones. 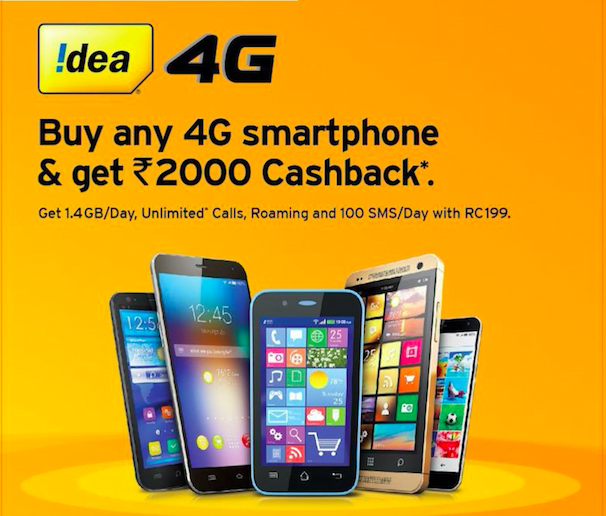 Countering Jio, Idea Cellular rolled out its own version of cashback offer, but to make the deal more attractive, Idea is offering cashback on all the 4G smartphones available on the market today. Bharti Airtel also has similar cashback offer of Rs 2,000. Now which telecom operator is providing the best cashback offer in the market? Let’s find out. 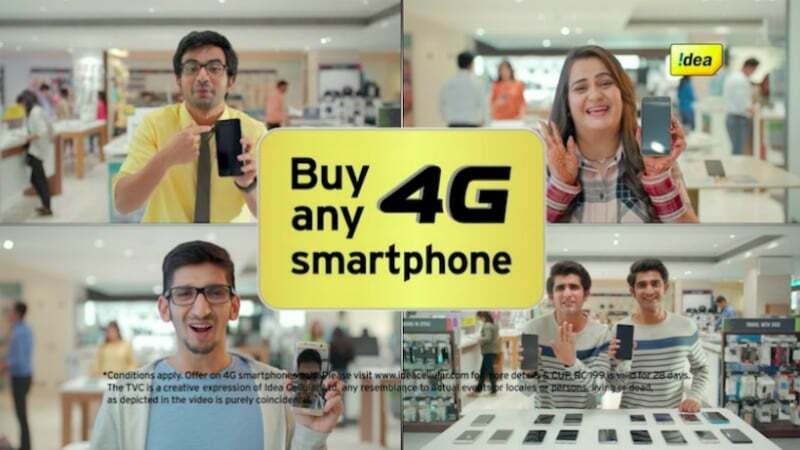 Idea Cellular has brought its Cashback offer which lets the user receive Rs 2000 on new 4G phones which are bought and activated on their network between February 23 to April 30, 2018. The cashback is relayed in two instalments. The first instalment of Rs 750 comes at the end of 18 months’ period and the second instalment of Rs 1,250 comes at the end of 36 months. Also, to be eligible for the offer, the buyers will need to do a Rs 199 recharge within 30 days of their SIM activation. However, there are certain requirements that need to be fulfilled in order to ensure the validity of the cashback offer. Those requirements have been described below. The users of Idea are required to do a recharge of minimum Rs 199 for 18 months straight. Although the policy doesn’t make strict the recharge amount to Rs 199; if the users decide to use the recharge packs of Rs 357, Rs 398, Rs 449, Rs 459, and Rs 509, they must keep in mind that the total value of recharge added up for 18 months must be at least Rs 3000. Idea provides its user with the rest Rs 1,250 after the next 18-month period where the users do not necessarily have to use the same purchased device. But for the first instalment users must be using the device for the entire 18 months. To be eligible for the second instalment, users will again have to ensure that their total recharge value over the 18-month period is over then or equal to Rs 3000 by doing a Rs 199 recharge every month or by opting for higher value packages. Reliance Jio has come up with a JioFootball offer for its customers who buy a new smartphone before March 31, 2018. The offer is applicable on smartphones from the following brands – Samsung, Xiaomi, Motorola, Micromax, Huawei, LYF, Nokia, Asus, Blackberry, Panasonic, LG, Intex and more. The cashback will be credited to the users in the form of 44 cashback vouchers in their MyJio app over 50 times to total the value of Rs 2,200 when the users recharge with a plan of Rs 198 and Rs 299. The interesting thing to note is that this offer is applicable for both existing and new customers of Jio. The drawback with the Airtel cashback offer is the fact that they are providing cashback offer only with for the Nokia 2, Nokia 3, Moto C, Moto E4 and Lenovo K8 Note 4G smartphones. The prices of these smartphones range between Rs 5,999 and Rs 13,000. To avail the cashback offer, Airtel has introduced the Rs 169 recharge plan for the customers. This plan offers 1GB 4G data per day, along with unlimited local and STD calling and 100 SMSes per day. This plan extends for the validity of 28 days. Just like Idea, Airtel also credits its cashback in two instalments- first one of Rs 500 at the end 18 months period and the rest Rs 1,500 at the end of the 36th month since the date of buying the smartphone. Also, the customers need to ensure that the total recharge value over the 18 months period is equal to Rs 3,500 and the same is also applicable for the second instalment, i.e. the next 18 months of the offer. The cashback amount will be credited to the customer’s Airtel Payments Bank. I don’t trust Airtel and Airtel Payments bank is already a sham anyway. People shouldn’t depend on these offers for purchasing their devices. They should just buy what they want and then move to an operator which gives them the better coverage and data speeds in their areas. These offers will just be an icing on the top if they want to utilize them.